Brown meat in a medium saucepan over low heat. Add Taco Seasoning and mix until evenly distributed. If the meat is low in fat, add 1/4 cup water and simmer down until all water is gone. Steam potatoes in the microwave then divide equally into 2 bowls or containers. 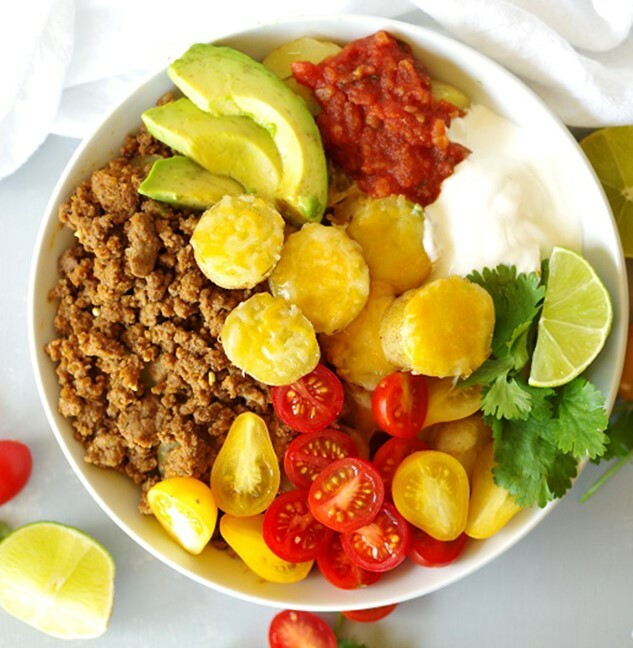 Top cooked potatoes with meat, cheese, tomatoes, avocado, sour cream, salsa, and cilantro.